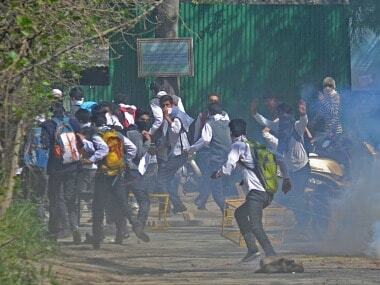 Srinagar: The National Investigation Agency and Jammu and Kashmir Police are currently investigating nearly 60 students for taking part in stone-pelting and "provoking violence" during the students' protests in April 2017, of which nearly 35 have already been questioned. The police and NIA also suspect that separatist leaders funded the April 2017 students' protests, and the recent NIA summons to Aala Fazili, a PHD student in University of Kashmir's pharmacy department, is part of the investigation. "The police have identified at least 60 students who took part in the April 2017 protests," a senior police official said. "Fazili was making pro-separatist speeches on the campus. There are allegations against Fazili that he was active in separatist activities on the campus for a long time. 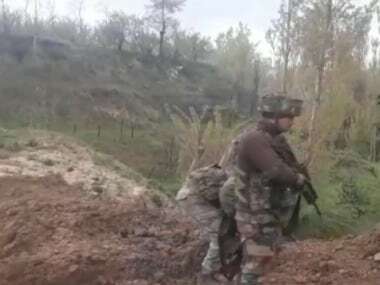 He was active even before protests triggered in Kashmir in July 2016 following the killing of former Hizbul Mujahideen militant commander Burhan Muzafar Wani," said a police official. Fazili had also been leading in-absentia prayers for militants killed by government forces, sources at the police said. According to the sources, the police had prepared a dossier on Fazili which was handed over to the NIA. Several Kashmiri students had poured into the streets in April 2017 after the Indian Army organised a cultural event at a degree college in Pulwama. Education institutions had to be shut for many days after students, subsequently, took part in stone pelting on police and paramilitary force personnel stationed outside the degree college campus on a daily basis. During the April 2017 students' protests, Fazili and other students had raised the banners of the banned Kashmir University Students Union (KUSU) asking them to continue with the protests. KUSU was banned in 2012 after members of the students' body had protested the visit of Congress vice-president Rahul Gandhi on the campus. He is also charged with organising protests under the banner of the banned Kashmir University Students Union (KUSU) inside the University of Kashmir campus, a police official said. Fazili, however, is not the only student being questioned by the NIA and Jammu and Kashmir Police. 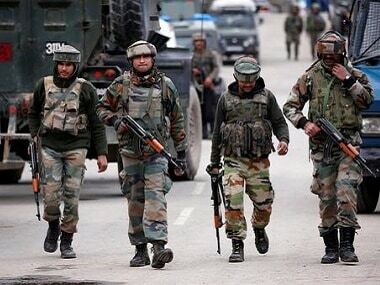 An official told Firstpost that the Jammu and Kashmir Police and the NIA are looking into the role of nearly 60 students, including a PHD scholar of Islamic Studies, in fanning unrest against the government inside the University of Kashmir campus. Syed Tajamul Imran, the founding member of All Jammu and Kashmir Students Union (AJKSU), who was recently questioned in connection with "any funding they have been receiving from militants or separatists", said that at least 35 students are facing cases of stone-pelting and "provoking violence" in the Valley. 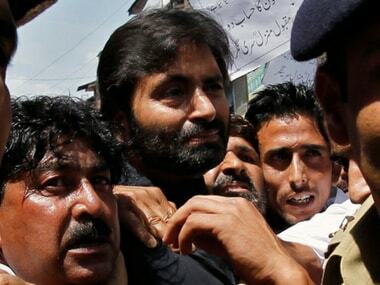 Imran said that the police and the army had detained him for 10 days between 28 June and 8 July. 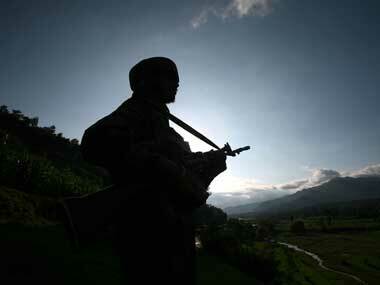 "The police and the army showed me my Facebook posts and even asked me whether I was receiving funds from militants. We didn’t receive any such funding and were only protesting over the excesses that were committed on fellow students," he said. April 2017 was not the first time students had taken part in anti-government protests, and which points to a possible link between separatist leaders and students' protest in the Valley. According to a police official, in 2015, protests had emerged at the University of Kashmir campus after the police detained Muzamil Farooq Dar of Kakpora, for posting comments asking students not to take part in an international Yoga day event. Dar’s detention was condemned by the separatist leaders as well. The NIA has also summoned a prominent businessman and the head of a travel agency to Delhi in connection with the business shutdowns in the Valley. Farhan Kitab, media in-charge of Kashmir Traders and Manufacturers Federation (KTMF), said that federation president Yaseen Khan has been summoned to Delhi as a witness in the case that has been registered against separatist leaders. "NIA has summoned Khan to Delhi office. This is a harassment of the traders' community. He could have been questioned in Kashmir only," he said while taking part in the protest that was held in Srinagar against the NIA summons.